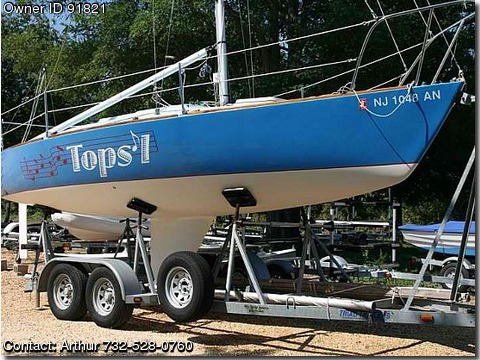 Call Boat Owner Arthur 908-675-5516. 30 year old boat in excellent condition. Winner best maintained boat at the silver anniversary regatta Newport R.I. Extra too numerous to list. 2 axle trailer w/ brakes.